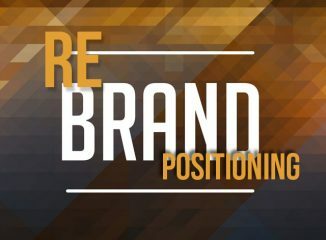 Rebranding or positioning when choosing my company's future. A true rebrand is the total elimination or replacement of your current brand. It might entail a new name, logo and personality along with new inventory or services. Though there are many reasons a re-brand could be necessary (often not related to marketing–i.e. new ownership), many advertisers rush for a rebrand not ready to fully embrace its monumental significance. Often what is needed, though not cited specifically, is a repositioning. Here, the current brand stays intact but changes to it are adopted, respecting brand equity but realizing that your awareness, likability or market share have changed. A repositioning is best approached by defining the problems (asking the right questions) and then plotting the solutions. Successful repositioning can usually be accomplished via a fresh advertising campaign, updated packaging or even new pricing.